What is the “multi pass” Leeloo had? 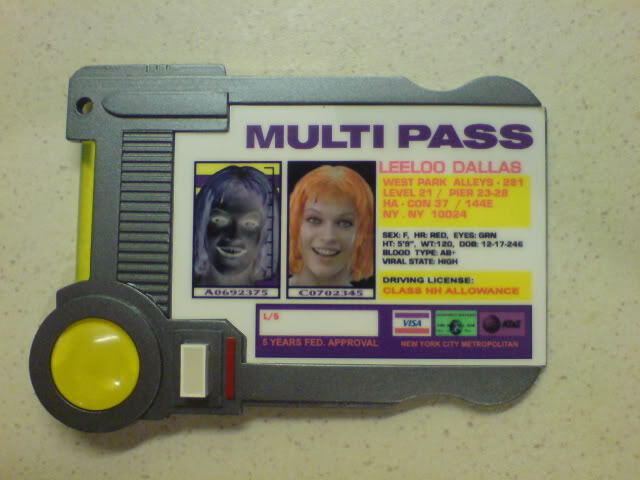 In Fifth Element Leeloo has some document that's pretty much looks like a driver license but bears a large "Multi pass" caption on it. She display it when boarding the spacecraft and introduces herself saying Leeloo Dallas mul-ti-pass. What does "Multi pass" mean here? It's just an identification card/credit card/money card/etc all rolled into one. Not the answer you're looking for? Browse other questions tagged the-fifth-element . What is the black goo from the Fifth Element? Did Korben engage in a fight in The Fifth Element? Does Ruby Rhod fall under rainbow umbrella, is it even established in the film? Why did Korben Dallas leave the military? What happened to the Mondoshawan trapped in the chamber of the elements?